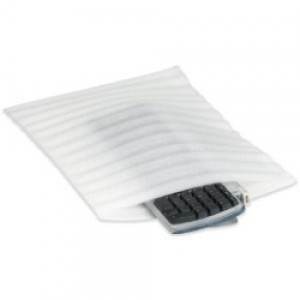 Foam pouches are envelopes made of thin, flexible foam. Foam pouches are used to protect smaller products and items from scratching. Foam bags and pouches cannot be used for mailing and are typically used for packing within a box. The foam bags are ope at one end and can be taped or heat sealed shut.